DAYTONA BEACH, Fla. (Dec. 6, 2018) – NASCAR, Race Team Alliance and 704Games announced today a collaboration that will create the first-ever NASCAR esports league on consoles, eNASCAR Heat Pro League. The newly formed esports league will feature up to 16 race teams and 32 drivers, each owned and operated by prominent NASCAR race teams. 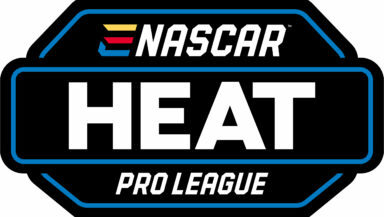 Beginning today, fans across the nation owning NASCAR Heat 3 can begin to qualify for the first-ever eNASCAR Heat Pro League Draft, scheduled to take place early next year. Following the Draft, the esports league will feature a 16-race season beginning in spring 2019 and culminating during the 2019 NASCAR Playoffs. All eNASCAR Heat Pro League races will be live streamed online at NASCAR.com and Motorsport.com. Many of NASCAR’s most successful teams are participating in the new esports venture, including: Chip Ganassi Racing, Hendrick Motorsports, Joe Gibbs Racing, JR Motorsports, Richard Childress Racing, Roush Fenway Racing, Stewart-Haas Racing and Team Penske. Each of the participating teams will field two drivers, one competing on Xbox One and the other on PlayStation®4 computer entertainment system. 704Games, NASCAR’s exclusive esports partner for simulation-style video games, released NASCAR Heat 3 in September 2018. Shortly after, 704Games launched a NASCAR esports tournament on consoles that culminated at Homestead-Miami Speedway. With the eNASCAR Heat Pro League, 704Games, aided by an investment from international media and technology company Motorsport Network, whose platforms represent the largest audience of motorsport and auto enthusiasts in the world, looks to expand NASCAR’s presence in the growing popularity of esports. For more information and to register for the eNASCAR Heat Pro League Draft, players can visit eNASCARHeatProLeague.com. Additional details about the eNASCAR Heat Pro League including sponsors, broadcast partners, and league rules will be announced in early 2019. 704Games is a video game publisher and developer focused on delivering high-quality experiences on console and mobile. 704Games, a video game licensee of NASCAR, released NASCAR Heat 3 on the PlayStation®4 computer entertainment system and Xbox One in September 2018. The gaming company also released NASCAR Heat Mobile, the first authentic NASCAR mobile racing game on iOS and Android devices, in 2017. 704Games is headquartered in Charlotte, North Carolina. For more information, please visit www.704games.com. The RTA is a 501(c)(6) not for profit business organization comprised of racing teams which compete in stock car racing’s premier professional series, the Monster Energy NASCAR Cup Series. It is an organization through which its members can collectively preserve, promote and grow the sport of stock car racing and thereby advance the long-term interests of the racing teams. More information regarding the RTA can be found at www.raceteamalliance.com.